The Cotswold Way Association (CWA) is a charity created in 2016 by volunteers from the Cotswold Wardens and the Ramblers. Our aim is to ensure the best loved trails in the Cotswolds do not fall into disrepair. The CWA commissions work to make improvements – the work being carried out by local volunteer organisations where possible, with the CWA paying for expenses and materials. With a backdrop of cuts in public spending and resources we operate the CWA as a no frills, low cost operation – we spend your money where it needs to be spent – on the trails. The CWA engages with users to identify possible trail improvements over and above the basic maintenance requirements. Find out more about the Cotswold Way Association does, how you can help, how you can join and lots more besides. Would you like to know more about the CWA? Formed in 2016 the charity’s mission is to support and enable the continual improvement of the Cotswold Way National Trail. We also support improvements to the surrounding environment of the Cotswold Way National Trail including the Cotswold Way Circular Walks and other named trails in the area. Volunteers patrol the whole length of the Cotswold Way each month checking on the condition of the National Trail. They are the ‘eyes and ears’ of the trail checking for problems and talking to trail users. 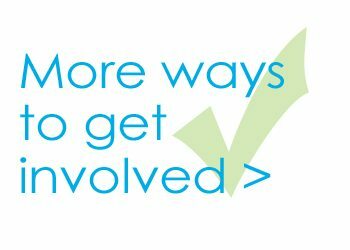 There are a number of ways to get involved from donating to voluntering. Many thanks to Waitrose shoppers in Cheltenham.